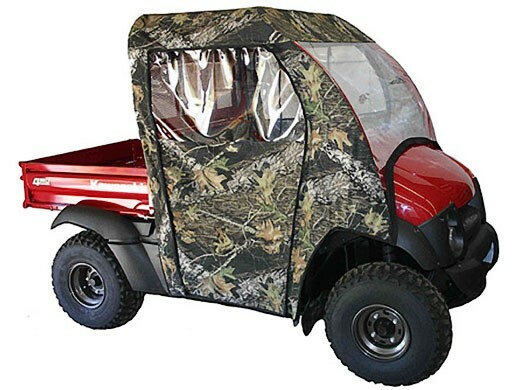 Our Kawasaki 600/610 Mule full cab enclosure features 600 denier PVC backed Polyester Shell with automotive grade clear flexible acrylic windshield, doors and back window. Doors are completely removable and have full length double pull zippers! Cab comes complete with necessary self adhesive Velcro, installation and care instructions. 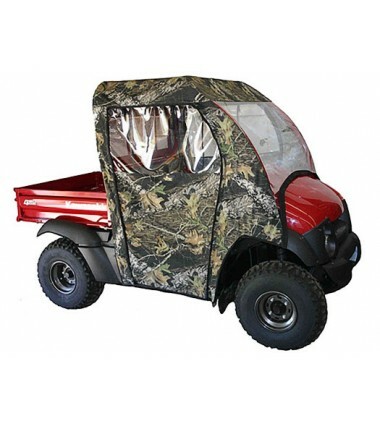 Note: Items in black are made of 40 ounce Tonneau-Tex Vinyl. 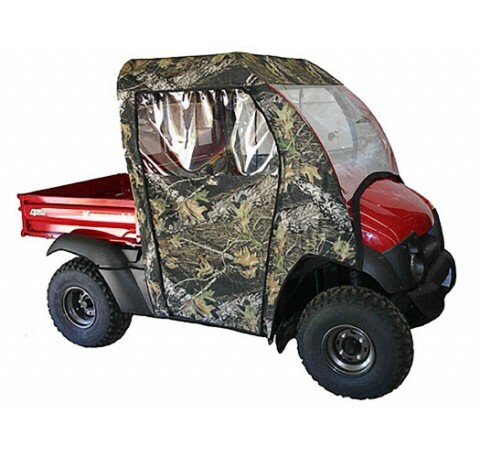 Available in Mossy Oak Breakup or Black. 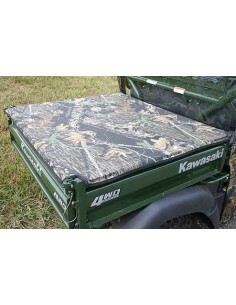 Raise and lower tailgate without removing protective bed cover!